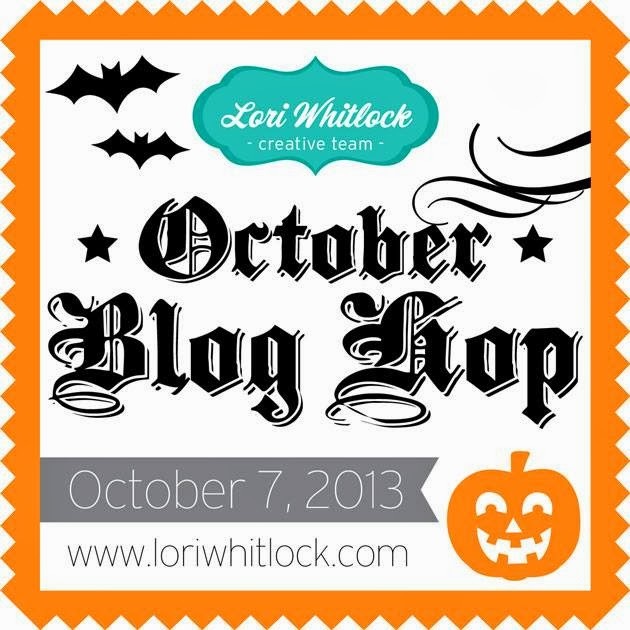 Welcome To Lori Whitlock's October Blog Hop! You should be arriving here from Corri's blog, but if you're just joining us you can also start out at the beginning from Lori's Blog found HERE. I've been holding onto these special baby pictures of my youngest daughter for almost 8 years now, waiting for the perfect papers to inspire me. The Fall Reflections kit fit the bill perfectly! 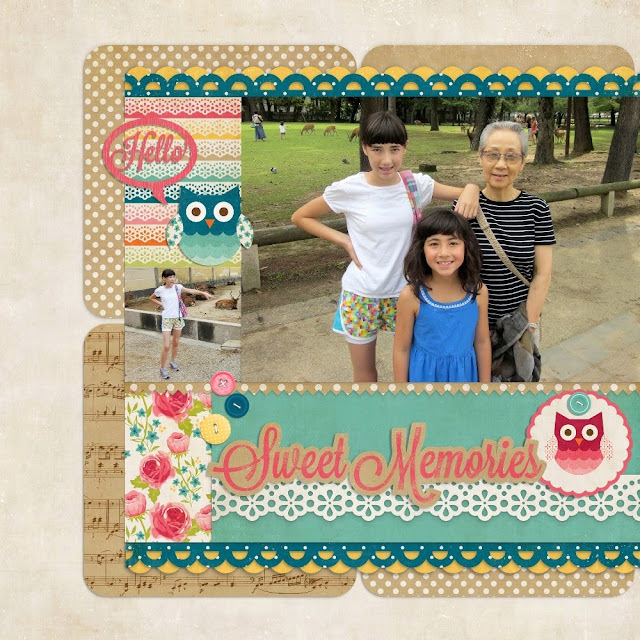 To create my layout I used the following cutting file available for purchase in Lori's shop (as well as in the Silhouette store). For my digital layout I turned to Lori's Sweet Memories collection (which is available as a set or individually as elements and papers) and a wonderful 2-page sketch by Allison Davis at Scrapbook Generation). 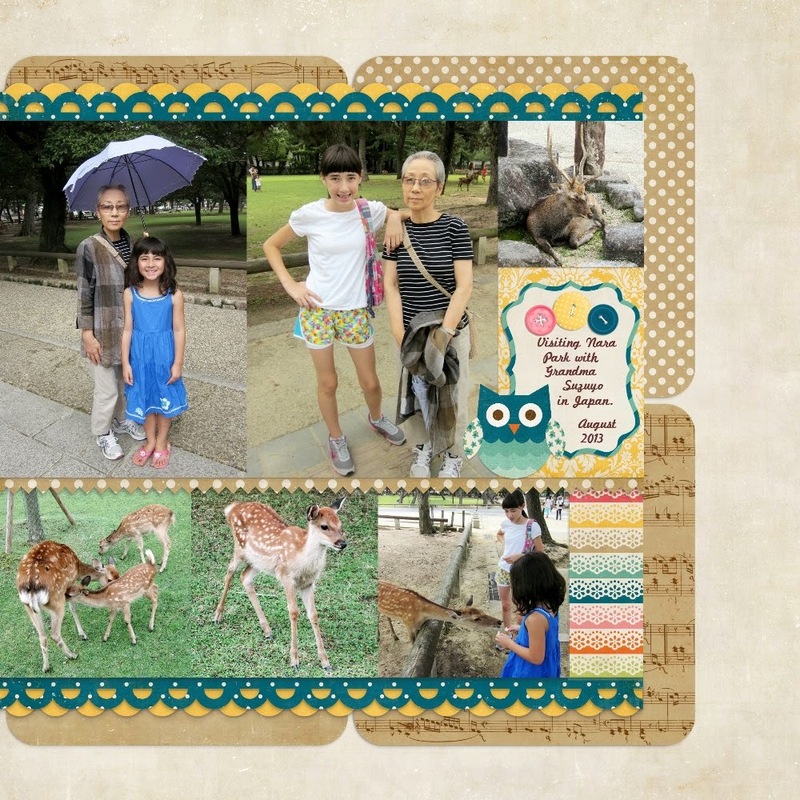 For my background I used Lori's Masking Templates Set 1 and for my yellow border I used her Masking Borders 2. With this layout I am now officially halfway done with my digital albums for this Christmas. Woo-hoo! 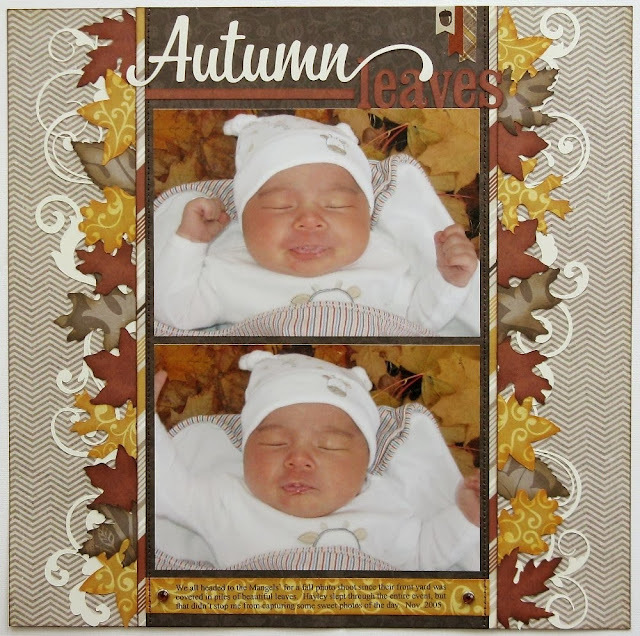 The flourish swirls behind the autumn leaves are PERFECT! You really knocked that one out of the park! Gorgeous layout! Really love your work on the leaves and swirls! What a great layout. the leaves, colors and title really set off the photos. 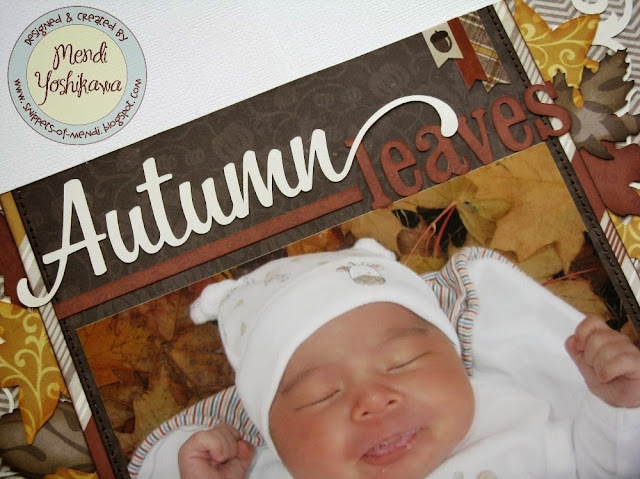 I love the autumn layout with all the wonderful fonts, swirls, leaves, colors and patterns! Thanks for sharing your digital LO! 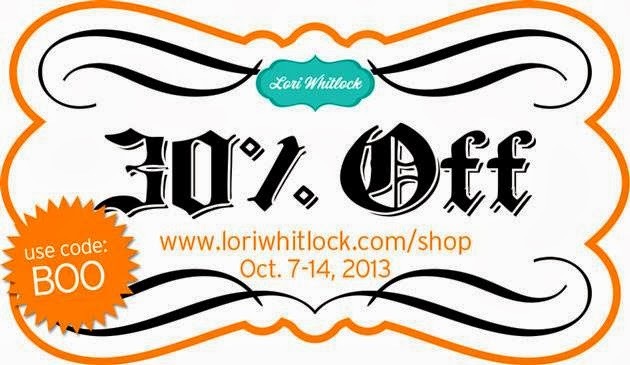 Lori has such wonderful products in so many different areas! You make them all seem essential! Beautiful! I really love the leaves! Don't you love it when everything comes together. Both layouts are fabulous!!! Your daughter is so cute - then and now. 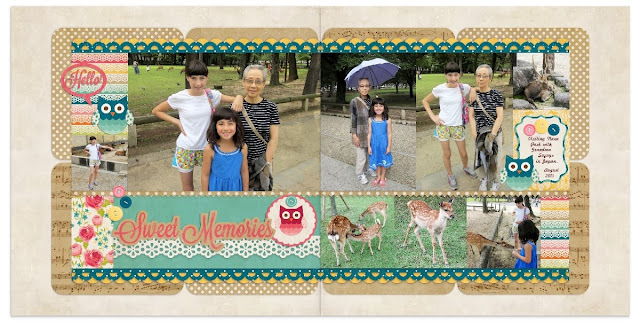 Gorgeous and those photos are beautiful, your layouts are always wonderful Mendi!! Beautiful layouts, Mendi! I love your style! Fabulous layout! Love the both!!! Hard to believe she's so little! I just adore how precious your baby girl is in these photos! Gorgeous layouts as always my friend! !